The Royal Scottish National Orchestra kicks off their West Coast tour tonight at Centennial Hall in Tucson, AZ! 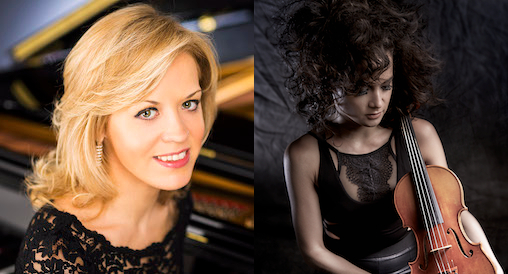 This special tour, which will be Thomas Søndergård’s first US tour as Music Director, offers two unique programs: one featuring pianist Olga Kern performing Sergei Rachmaninoff’s “Rhapsody on a Theme of Paganini, op. 43” and the other featuring violinist Sandy Cameron performing Danny Elfman’s Concerto for Violin and Orchestra, “Eleven Eleven". “Eleven Eleven” was co-commissioned by Prague Proms, Royal Scottish National Orchestra and Stanford Live, and composed for Sandy Cameron, who gave the premiere in Prague in June 2017. Sony Classical released the official recording on March 22, 2019 featuring Sandy Cameron and the Royal Scottish National Orchestra conducted by John Mauceri. Download and stream here.